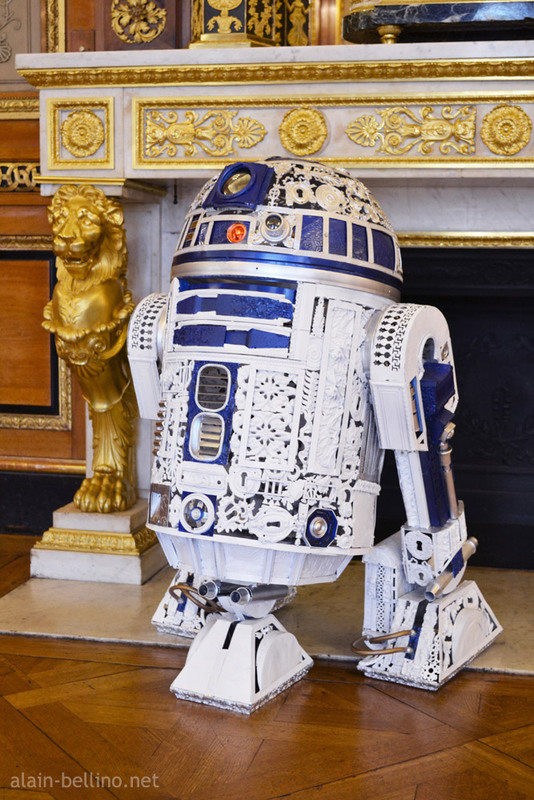 This wouldn’t be the first time I’ve seen a replica of R2-D2, but it’s the first time I’ve seen one made of antiques. 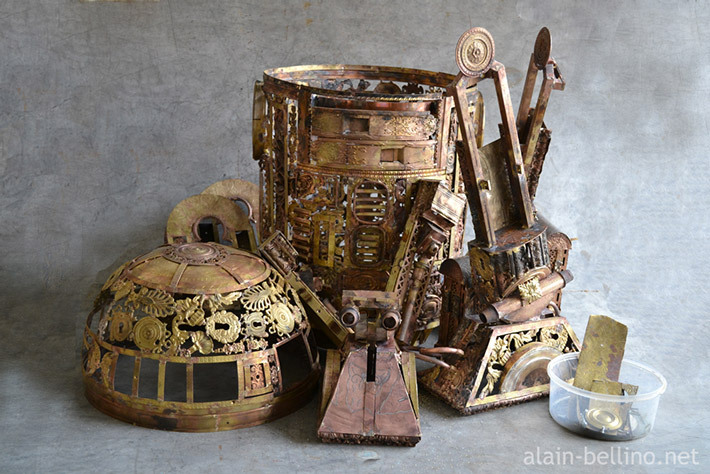 This maintenance droid was created by artist Alain Bellino using bits of old bronze ornamentation, and it looks truly awesome. 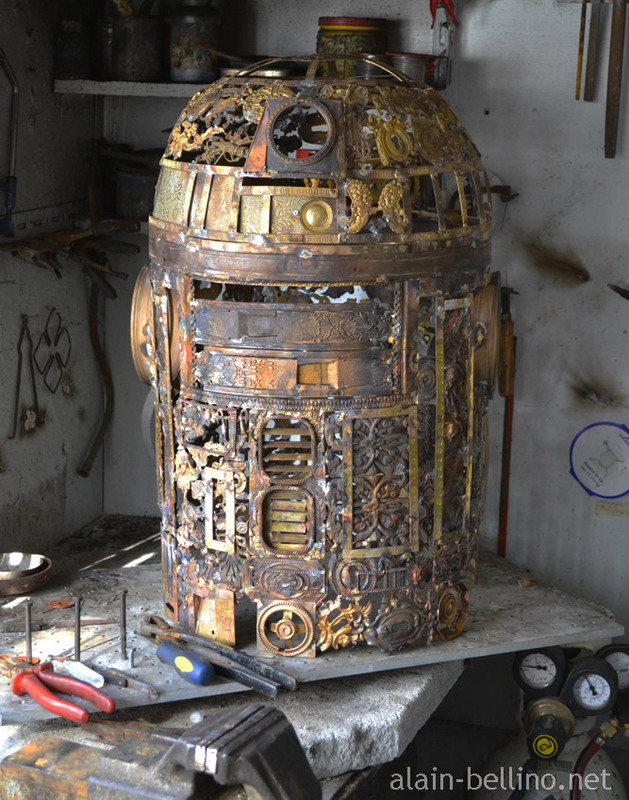 Alain painstakingly selected, cut and soldered all of the components of his “Imperial Style” R2 unit together before finishing him with the proper paint colors and accents. Previously, Alain created a Darth Vader head using a similar technique, but R2 looks way more complicated. Amazing work, Alain. 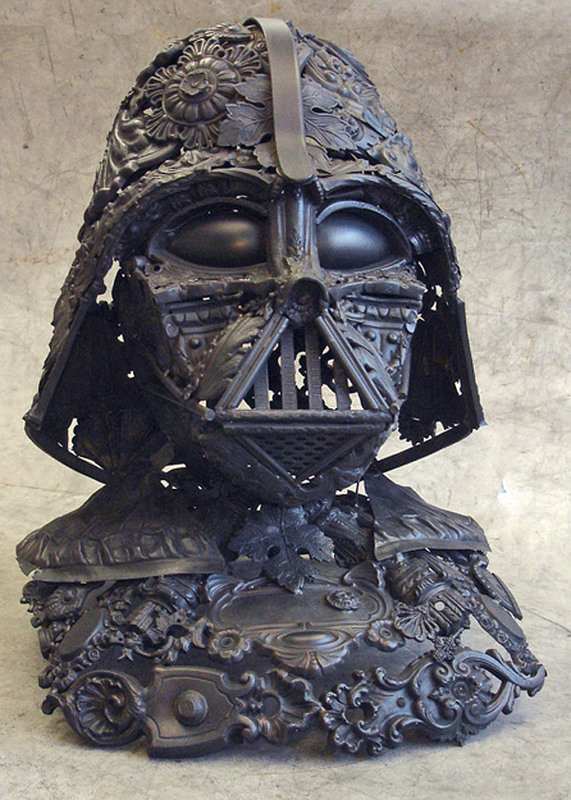 Now you just need to make a bronze C-3PO, and you won’t even need to paint him!